Dept Of Orthopaedics, M.S.R.M.C, Bangalore, Karnataka, India. Consultant Orthopaedic Oncosurgeon, BSG Global Hospitals, Banglore. Chairman, Jagruthi Medical & Research Trust, Bgs Global Hospitals, Bangalore. India. Introduction: Ewing’s sarcomas is a rare primitive neuroectodermal tumour (PNET) which has an annual incidence of 2.9 /million population in USA 1Jeffery Toretsky et al (2008) They are very uncommon in African and Asian population .lt is commonly associated with reciprocal translocation between chromosome 11 and 12 t (11:12) or less frequently the t(21 ;22)(q22;ql 2) translocation. It is highly aggressive tumor which is PAS- and CD99 (MIC2)-positive relatively few variant translocations have been reported in primary Ewing’s sarcomas (ES). Case Report: We are hereby presenting a case of extra skeletal soft tissue Ewing’s sarcoma with unusual translocation of chromosome t (4, 22) (q35, q12).Patient presented to us in advanced stage with pulmonary metastasis and lower limb neurological deficit.Relatively few variant translocations have been reported in primary Ewing’s sarcomas (ES).To date, 13 variants of the EWS fusion gene have been described in literature. They are extremely rare, representing altogether < 1% of the cases’ 23we are reporting a case of a variant simple translocation of chromosome t (4; 22) (q35;1 2). In our exhaustive literature search we could find only one case of complex translocation which was identified in a dysmorphic 15-year-old girl, t (4:11; 22)(q21; q24; q12) reported by Squire Jet al (1993). Conclusion: This type of translocation is extremely rare and has not been reported in the literature so far. Clinical presentation was initial indolent but later at the time patient presented to our institute he had developed pulmonary metastases and paraplegia due to involvement of spine. Our case report will provide new insight about rare translocation types in Ewing’s sarcoma and understand their clinical behavior of Ewing’s sarcoma with such type of translocation. Ewing sarcoma (ES)/primitive neuroectodermal tumor (PNET) of bone is the second most common primary malignant bone cancer in children and adolescents, the extra skeletal variety has been reported in adults [1,2]. They are very uncommon in African and Asian population .lt is commonly associated with reciprocal translocation between chromosome 11 and 12 t (11:12) or less frequently the t (2122)(q22;ql 2) translocation . The median age at the time of diagnosis is 15 years and there is a male predilection of 1.5/11 . The demonstration of translocation by karyotype analysis with short term culture and metaphase spreads is labor intensive, time consuming and requires fresh tissue specimen. Hence the advent of florescence insitu hybridization technique and reverse transcriptase polymerase chain reaction helps in rapid diagnosis of translocations. A 20- year- old Asian male (Fig. 1) presented to our hospital with history of swelling in right distal thigh associated and dull aching pain which started after a trivial trauma about three years back. The swelling gradually increased in size in the following year. He was seen by his primary care physician who has diagnosed the condition as soft tissue tumor for which patient underwent 4 cycles of chemotherapy followed by resection of tumor. Patient remained asymptomatic in the subsequent year but unfortunately developed recurrence of swelling in same region that gradually increased in size. When he presented to our institution with the swelling over right distal thigh (Fig. 2) he had developed low backache and complete weakness of both lower limbs. At the time of examination patient had a large irregular shaped swelling measuring about 35x25x20 cm at distal half of right thigh(Fig. 2) extending to the knee . The skin over swelling appeared shiny and stretched shiny with engorged veins Movements of knee was restricted. The swelling was warm, tender and firm in consistency .There were no visible or palpable pulsations. It was not able to clearly discern the plain of the swelling. Peripheral pulses were feeble with no regional lymphadenopathy. Neurologically patient was paraplegic with intact bowel, bladder and sensory system. X ray right femur (Fig. 3) showed large soft tissue shadow with irregular periosteal reaction. X ray pelvis and spine showed multiple lytic skeletal metastases. Chest X ray (Fig. 5) showed multiple lung metastases. MRI done showed large soft tissue mass with areas of necrosis. The core needle biopsy from tumor under microscope revealed tumor cells predominantly arranged in sheets, cells round to oval with centrally placed hyper chromatic nucleus and scanty cytoplasm, rosettes seen at places (Fig. 6). lmmunohistochemistry was carried out which was positive for CD99 (Fig. 8). Cytogenetic study (Fig. 7) showed variant translocation karyotype 46, xy, t (4, 22) (q35, q12). Since the patient presented to us in an advanced state it was decided to start palliative treatment. Palliative radiotherapy was given to spine T12-L1 and right thigh. Pain was relieved but unfortunately patient succumbed to the condition due to late presentation. Tumors with the type 1 transcript (EWS-FLY1) are associated with a better prognosis than those with other transcripts . The common genetic alteration in ES is a translocation between the EWS gene on chromosome 22 and various genes of the ETS family of transcription factors. 90% of cases chromosome 11 is the partner of the fusion gene. Alternatively, chromosome 22 is found as partner in 10% of the cases. To date, 13 variants of the EWS fusion gene have been described, involving many chromosomes: 2, 6,7,9,11,12 17 and 22 .theses type of translocation are extremely rare, representing altogether <1%[2,3].We report a case of variant simple translocation ofchromosome t(4;22)(q35;12). Previously only one case of complex translocation was identified in a dysmorphic 15- year-old girl, t (4; 11; 22) (q21; q24; q12) .There has been no previous literature reported with this type of unusual translocation. Our patient was initially treated somewhere outside by the time he presented to our institute he had a irregular swelling over right distal thigh, restricted movements of knee, feeble peripheral pulse and pure motor deficit. What is unusual about this case is from the time patient noticed the swelling and was treated by his primary care physician the tumor behaved indolent. Patient has lost the details about the details of chemotherapy before surgical excision of tumor and unfortunately could not be obtained. When he presented to our institute he had wide metastasis. The earliest symptom is pain associated with swelling which progressed to form large tumors in soft tissues. Imaging modalities like x ray, CT, MRI, isotope scan will help in diagnosis and detecting distant metastasis. The definitive diagnosis is made by biopsy, providing sufficient material for conventional histology, immune histochemistry and molecular biology. ES is a small blue round-cell tumor, PAS- and CD99 (MIC2)-positive. Newer molecular genetics and PCR techniques will help in rapid and precise diagnosis1. Apart from various prognostic factors recently it has been reported that the type of EWS/Flil fusion transcript is prognostically relevant, as patients with the type l EWS/Flil fusion transcript appear to have increased disease-free survival over that of patients with other fusion transcript types 6 . Ewing’s sarcoma is a rare primary malignant bone tumor which is often indistinguishable from primary neuroectodermal tumors by histopathology. Clinically both these type of tumors behave same hence the clinical management remains the same with adjuvant chemotherapy, excision and radiotherapy being the cornerstone of treatment. Karyotype and insitu hybridization helps to detect the type of chromosomal translocation which can predict the overall prognosis of the tumor. We have reported a very unusual variant simple translocation of chromosome t (4; 22) (q35; 12). This has not been reported in any previous literature. This patient had widespread metastasis with a complete paraplegia due to involvement of spinal cord. Since patient presented in grade 4 stage at the time of presentation to our institute this type of translocation may be associated dismal prognosis. Further study is required to evaluate the prognosis of Ewing’s sarcoma in patients with this type of unusual translocation. 1. M. Paulussen, S. Bielack, H. Ju rgens & P. G. Casall. Ewing’s sarcoma of the bone: ESMO clinical recommendations for diagnosis, treatment and follow- up. Annals of Oncology 20 (Supplement 4): 1v140—1v142, 2009. 2. Sandberg AA, Bridge JA. Updates on cyto genetics and molecular genetics of bone and soft tissue tumors: Ewing’s sarcoma and peripheral primitive neuroectodermal tumors. Cancer Genetics and Cyto genetics 2000; 123:1-26. 3. Georges Maire, Chnstopher W. Complex rearrangement of chromosomes 19, 21, and 22 in Ewing’s sarcoma involving a novel reciprocal inversion —insertion analysis and literature review. Cancer Genetics and Cyfogenetics 2008; 181:81-92. 4. Martini A, La Starza R, Janssen H, Bilhou-Nabera C, Coiveleyn A. Recurrent rearrangement of Ewing’s sarcoma gene, EWSRI, or its homologue, TAF15, with the transcription factor CIZINMP4 in acute Leukemia.Cancer research 2002;62:5408- 12. 5. De Alava E, Kawal A, Healey JH, Fligman I, Meyers PA, Huvos AG et a!. EWSIFIiI fusion transcript structure is an independent determinant of prognosis in Ewing’s sarcoma. J Clin Oncol 1998; 16:1248—55. 7. De Alava E, Kawal A, Healey JH, Fligman I, Meyers PA, Huvos AG et a!. EWSIFIiI fusion transcript structure is an independent determinant of prognosis in Ewing’s sarcoma. J Clin Oncol 1998; 16:1248—55. 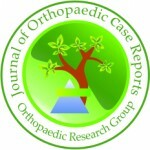 October 21, 2013 How to Write a Case Report for Journal of Orthopaedic Case Reports– What do Editor and Reviewer want?